Enjoy your favorite songs everywhere with the Z3N Over-Ear Bluetooth Headphones. These wireless headphones sport powerful 40 mm drivers with 33 feet of Bluetooth range. Best of all, they are very affordable! It’s always a good time to hear amazing music. Whether you’re commuting to work or exercising at the gym, the Z3N Over-Ear Bluetooth Headphones can provide everlasting comfort and up to 6 hours of seamless playback on a single charge. 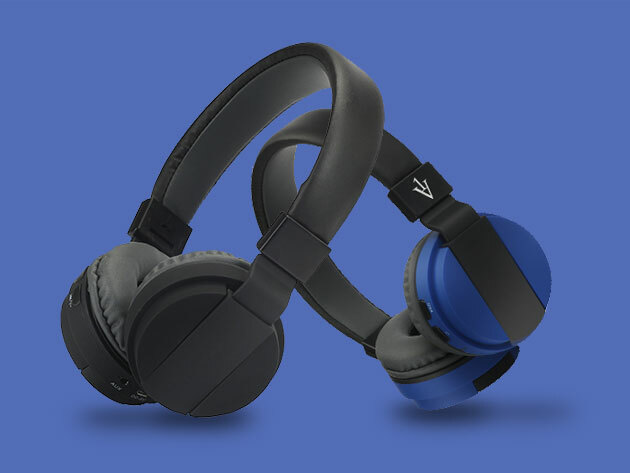 Choose between either black or blue for the Z3N Over-Ear Bluetooth Headphones. At 76% off, these ultra-HD headphones are yours for just $20.99!